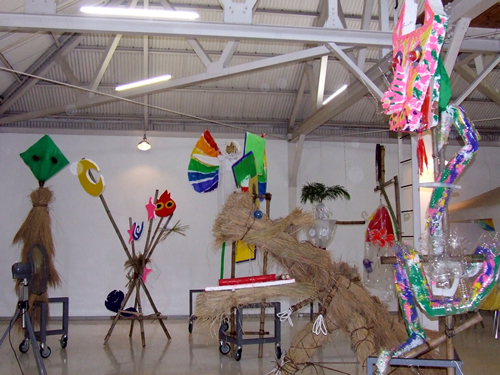 Make artistic scarecrows! 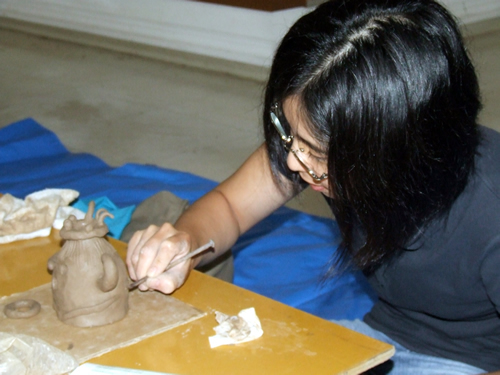 / Make your own pottery! 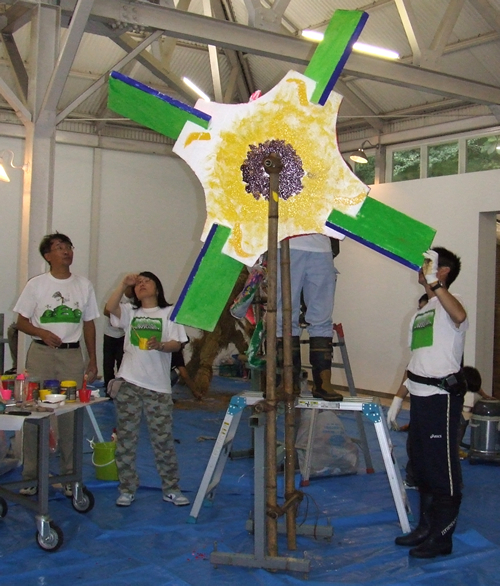 The "Make artistic scarecrows!" and "Make your own pottery!" 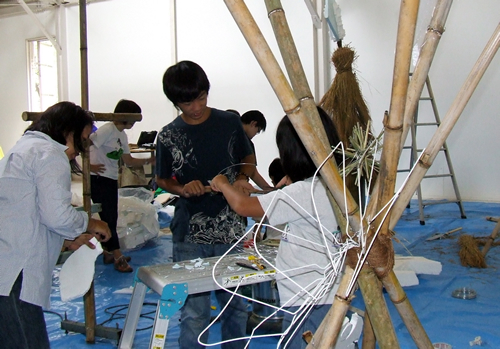 workshops were held at Sanda Studio on September 4, 2011, being postponed from the original date of September 3rd because of the typhoon, the 12th of the season. 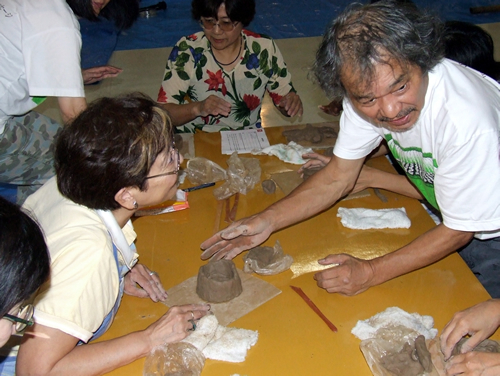 In spite of heavy rain, participants gathered and enjoyed working, demonstrating their artistic sense. 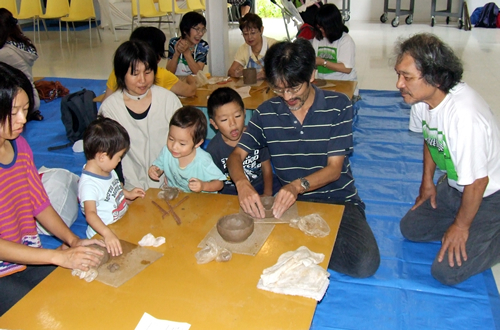 Eight groups created unique scarecrows and 19 people made their original pottery. 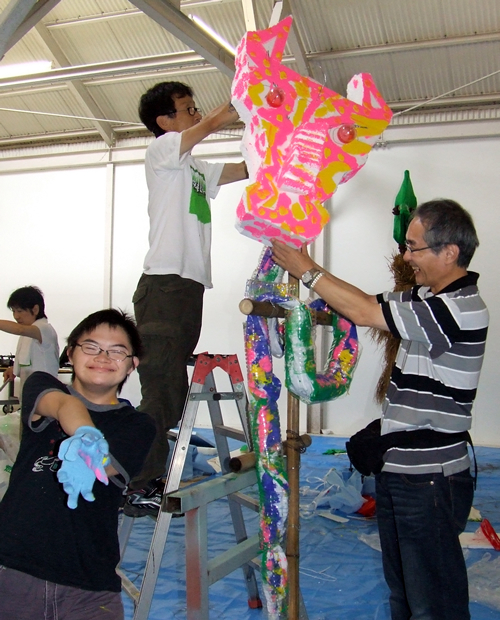 The completed works will be exhibited at the site of Atelier in the Rice Paddies at the time of Closing Festival on September 25.